I am not a cook. I don't enjoy cooking, mainly due to my lack of skill and/or attention span. Couple that with my crazy schedule of being a nanny, blogging, making videos, doing charity, and consultant brands on beauty product development and you've got one really busy girl. I am a bit of an obsessed scheduler when it comes to blogging stuff (I have social media planned months in advance) but not when it comes to planning meals. Some weeks I am awesome at that and some weeks I kind of piece meal, well, a meal. Sometimes I end up working later than planned and don't feel like cooking and just want something fast. Or as a nanny, I will find that I will need to unexpectedly prepare dinner. And well dang it, sometimes a girl just wants a night off from cooking. I think we ALL can relate to that. So after setting up a membership (first 30 days are free), choose your meal(s). They have traditional American, Natural Lifestyles, and Tex-Mex. 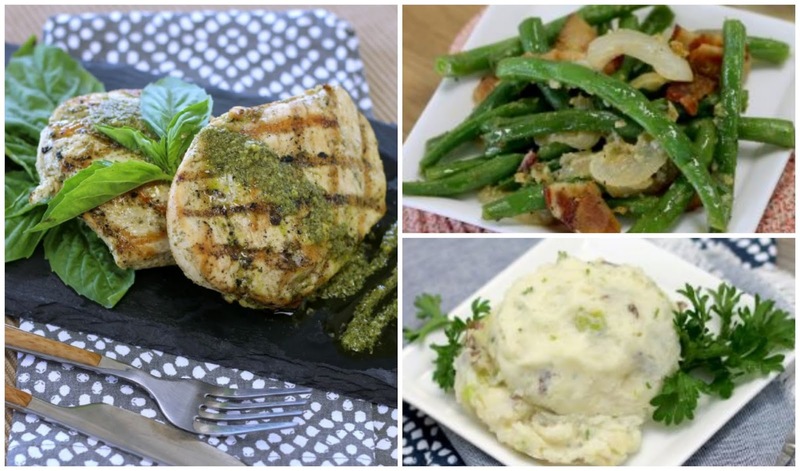 There are entrees, sides, and desserts for all. Just pick what you want by 4pm, M-F and then pick the delivery time. It's 50% off traditional restaurants and delivery service. The average meal for a family of 4 costs around $28. 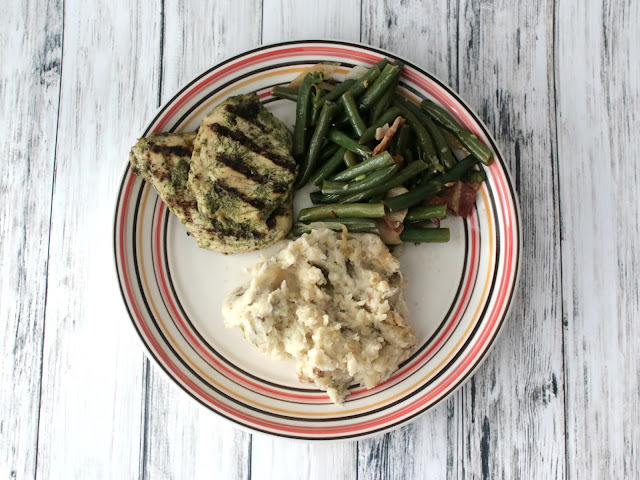 The chicken was $4.50, green beans $2.50, and smashed garlic potatoes were $2.50 as well. Everything was ready to go and sealed--all I had to do was take pictures (#bloggerlife) and plate! Everything is made from scratch using ingredients you can trust. I put everything on the plate here to show a little better how huge the portions were. I made it into a smaller portion--forgot to remove the other piece of chicken for pics--but I was able to get 2 meals out of this, so dinner and lunch for me. And it all tasted great! They have selections for allergies and vegetarians as well. AND KIDS! I will 1000% be using this service again. I was very impressed and satisfied. #realmealrealgood y'all. What a fun giveaway and it looks so good! Cooking is great, when you have the time. It's so nice to know that services like this are out there because we need them! I like to cook and people say I am a good cook, buuuut I don't cook often - so I would like to know the Real Meal delivery, because I end up eating junk food the whole day long and I need to change my food habits - lacking vitamin and protein so much, I need to have more natural food! This seems to be a great service! What a great service! I love that it's already prepared for you! It makes busy weeknight meals so easy! Ohh I haven't heard of this service before, but I'm with you on not really loving to cook, so this would be perfect for one you just don't want to bother or don't have the time! I have thought of trying meal delivery services before but in the end of the day, I never did as i love cooking. It's therapeutic for me. This is such a great service and I love that everything is ready to go! I love to cook and cook almost every night, but this would definitely come in handy when I get home late from work and really don't want to be in the kitchen! It looks delicious, too! This looks awesome! I love that you really don't have to do anything, but put it on your plate! :) Yum! I would def. be making it into a couple of meals, too. What a great option for a busy gal as yourself! And the food looks so delicious! This Real Deal sounds like a good deal for sure, Elle! The price is reasonable and the food looks yummy. 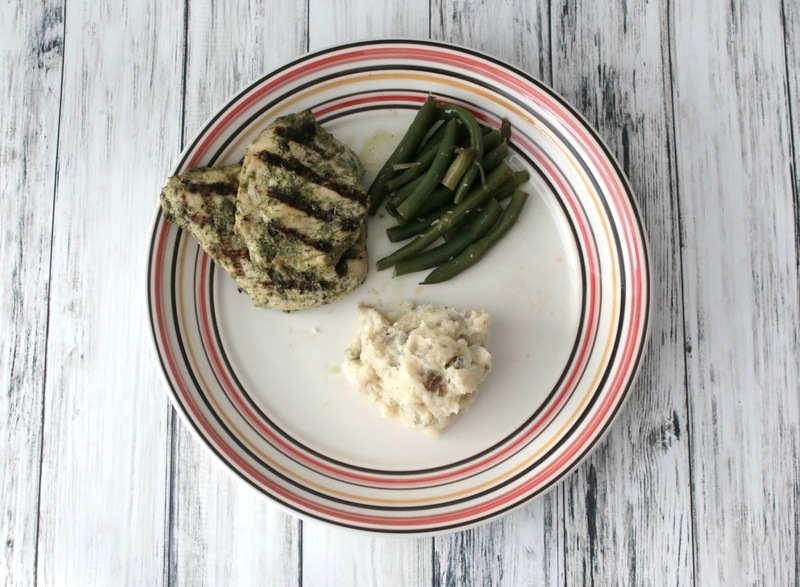 Love how that pesto chicken looks:) I actually don't mind cooking but it's finding the time to make something really good that really is the kicker for me. That does look really good, and having an option that is both healthier and cheaper than take-out is awesome. I love to cook, but something like that would appeal to me right now with a newborn! This sounds like a great service and the food looks yummy! Sounds like a great food service! The food looks so delicious! That sounds like such a great meal service! I love that everything comes fully prepared because sometimes you just don't want to spend the time to cook! What an awesome service!!! Certainly better than grabbing take out or what not. I do my meal prep and planning on Sundays and it is very important to me, but once baby comes..I have a feeling I am going to wish I had something like this in our area for a few weeks! I'm glad you liked this so much! Cooking is a love of mine so I probably wouldn't use a service like this, but I have several friends who haaaate to cook (or don't have schedules that allow it) so they would love something like this. 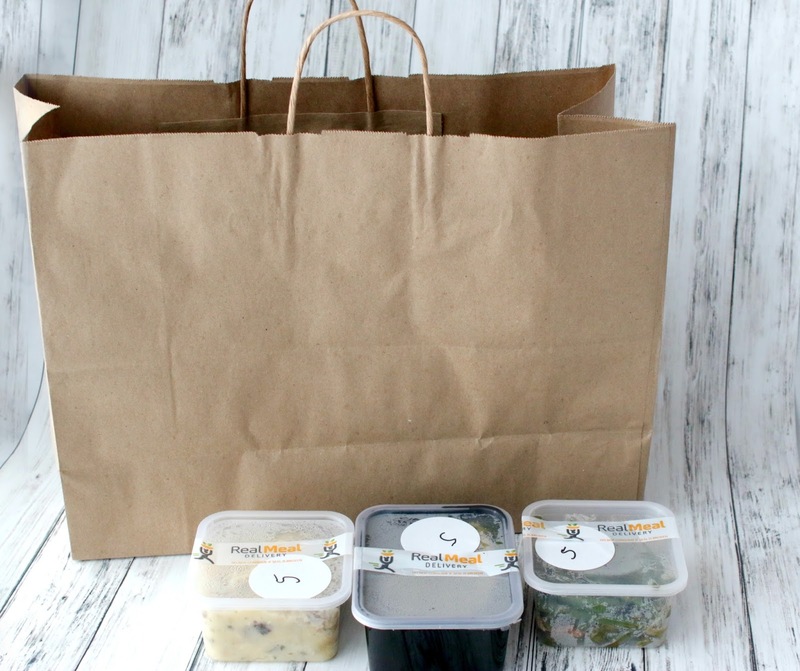 Meal delivery is the best - it is a daymaker for us, too! Glad you got to enjoy the service! I've always wanted to try a meal delivery service like this just for fun because I couldn't do it all the time and I'm glad you liked it. I'll have to give it a go sometime! What a neat service!! We have one that provides "healthy" meals to go, but my gosh...it's SO expensive! Those mashed potatoes looks yummy! I totally wish we had services like this where I live. I do so good with meal prepping and cooking one week, and then the next week I'll absolutely hate it and get lazy so I can totally relate to what you are saying! I love that this has vegaterian options too! I haven't tried any of the subscription meal services maybe because I like cooking but I totally get that cooking for one sometimes is just a waste/boring/blah! This is the first time I'm hearing about Real Meal Delivery but it looks like the meal delivered is pretty true to the image they feature on the website and give good portions. This looks amazing! 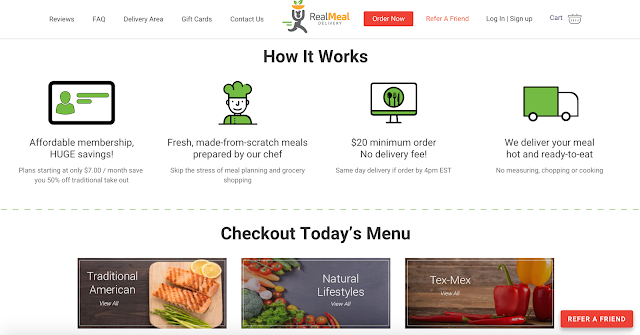 I have been wanting to try a meal delivery service! It would save so much time! Ugh it would be nice to say I enjoy cooking but let's face it I don't. This service sounds pretty cool. I don't mind the cooking, it's the cleaning up! I need a cleaning up service. That meal looks so good. I love anything with pesto! I don't mind cooking, though I'm better doing sweets than savoury! Over here there are numerous companies doing the same thing, some are cooked others are quick and easy meals you follow instructions to etc. Ive never tried them before but I have a friend who couldn't do without the precooked service. Wow. Looks a great food service to try.